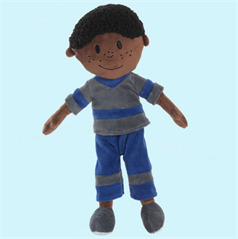 These 12 inch soft cloth dolls have removable clothing, embroidered faces, and personalized tooshies. Discover their unique personalities, talents, and hobbies through their trading cards and bookmarks (included). Billy - is always a leader! The StinkyKids characters are little stinKers who learn to make right choices through their childhood mistakes and who live by the motto “Always be a leader of good”. StinkyKids appeals to parents for the values it represents and appeals to kids because the characters are real kids getting into real mischief. StinkyKids have a very positive message. 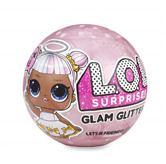 Plus, we so rarely find a beautiful African American boy doll!